Wildlife Filmmaking Course on the Isle of Mull. Suitable for amateur / professional photographers wishing to explore filmmaking. 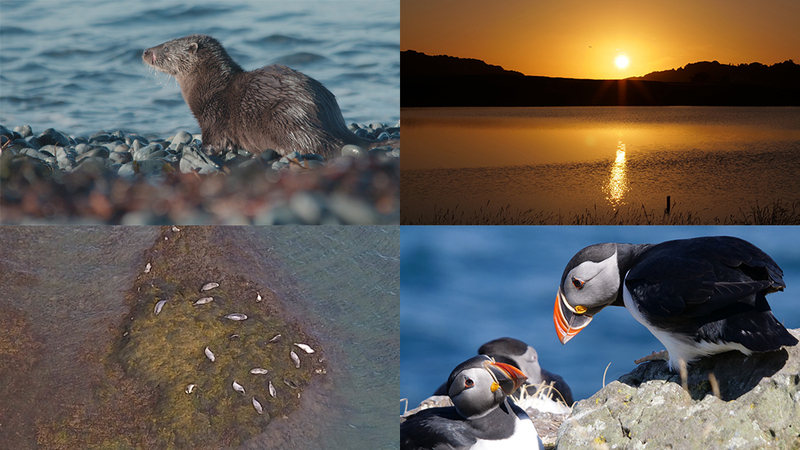 Our 5 day (and 5 nights) wildlife filmmaking experience is aimed at wildlife enthusiasts who would like the chance to improve fieldcraft, filmmaking and storytelling skills whilst immersing yourself in Mull’s wildlife under the supportive eye of course leaders. We focus on the art of storytelling, to achieve a start, middle and end. Whilst we mentor you in all aspects of filmmaking, this is not primarily a technical course as the emphasis is on storytelling and developing skills to create good short films. Here’s a student film made whilst staying at Clachan Cottage, by Ruth Watkin-Rees. Ruth is a keen photographer who wanted to combine her photographs within the context of her travel location. The course is lead by filmmaker, S-J Cooper-White and supported by licensed drone pilot, Andrew Bisgrove. “An awesome week, I learned so much and look at everything differently now.” A. 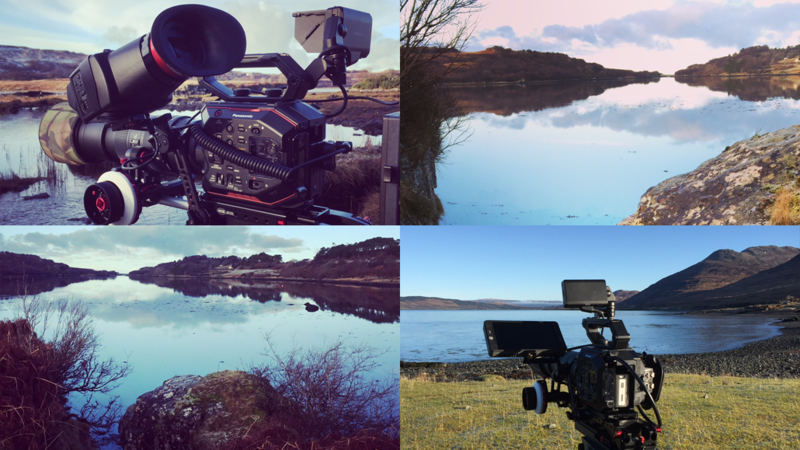 The wildlife filmmaking course is based at Clachan Cottage, a traditional, cosy stone cottage on the edge of a loch. Otters, eagles and a plethora of wading birds can be viewed right from the doorstep! It’s entirely possible to make your film from the cottage itself! All meals are provided, including a packed lunch and hot drinks whilst out in the field. In the evening, we head back to the warmth of the wood burner and enjoy tasty, home cooked meals made from island produce and a glass of wine, were we’ll hold a creative and relaxed debrief of the day’s work. We will film in several different locations on the island as well as near the cottage and will be lead by your interests and ambitions. We are also licensed drone pilots and can fly to your direction should you want aerial footage. The welfare of the wildlife comes first, at all times. We will discuss ethics, good fieldcraft behaviour, safety, audio, creativity, editing, storytelling, narration, planning and much more. Before you arrive you will work directly with the director, via email, to shape up what you want to film and explore ideas of how to make it work as an interesting short film. You may bring your own camera or use one of ours. We have 4K broadcast quality cameras, full editing suite, lenses, lighting and audio equipment. Our course is suitable for complete novices, keen amateurs or for experienced individuals looking to spend guided time filming wildlife on Mull. The course is relaxed, fun, informative and exciting. We will help you produce a short film of your work and advise and teach on filming techniques, editing skills and audio production. We aim for you to have shot footage that excites you and leave the island feeling motivated and better equipped to carry on storytelling through your filming. “Thanks for a FAB week and will hopefully now put what I have learnt about story telling into practice.” George. We run courses throughout the year. Please email me for more information. Includes: Accommodation at Clachan Cottage, bed linen, log burner, home cooked evening meal, glass of wine, packed lunch, breakfast (cooked or continental). Guiding, teaching, RIB, drone pilot, camera and editing equipment, travel whilst on the island. Mentoring of short film prior and after the course to final edit. Use of binoculars, scopes, radios and portable hides. Please note: Courses will run whatever the weather but your safety remains priority. Fees are non refundable unless we have to cancel the course. Travelling to the island is your responsibility, we are not responsible for any crossing cancellations.